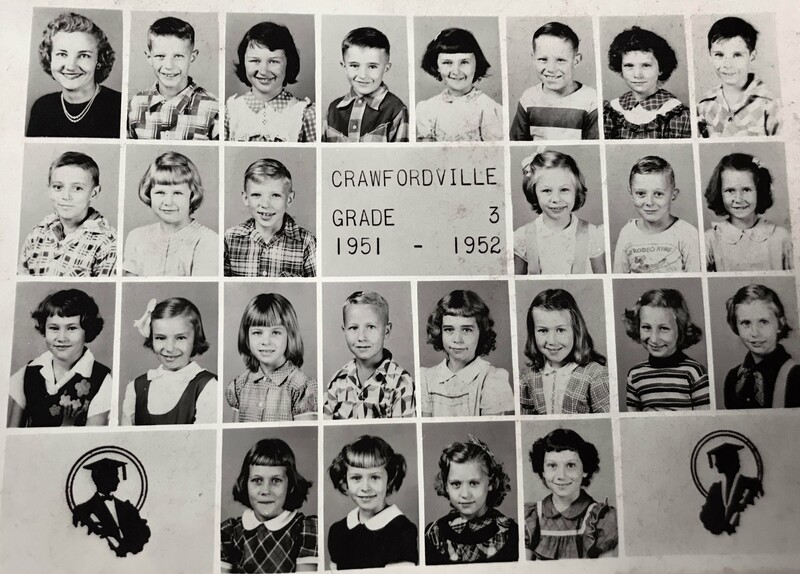 Beginning this month, we are going to post a photo each month and ask you to identify the name(s) that are missing or have been misidentified. Please email the name(s) and location(s) on this photo to mailbox@wakullahistory.org . We have a lot of photos without labels, so keep checking back here! As we add photos, the previous photos will be moved to another page that you can go to (in case you miss a photo or remember a name later). Row 1 Mrs. Anderson, Clarence Williams, Dorine Whaley, John Spears, Leila Sutton, John Joiner, Jean Smith, Richard Miller. Row 2 Gerry Gowdy, Judy Council, Jerry White, Mary Louise Forbes, Lavelle Waters, Janie Glover. Row 3 Elizabeth (Becky) Lee Strickland, Rae Miller, Peggy Harvey, Galveston Alexander, Ida Langston, Nellie Rae Gillespie, Ina Forbes, Sally Oaks. Row 4 Elise Ferrell, Martha Green, Jean White, Linda Spears. Update January 30, 2018: All photos now have been identified! Thanks to all of you who contributed names! Stay tuned for next month's mystery photo!